Today is Elizabeth Zimmerman’s 100th birthday. For the non-knitters who occasionally read this blog, let me give you a bit of a background on Elizabeth. She was born in England, and migrated with her husband to the US. EZ is credited with revolutionizing and analyzing knitting starting in the 1950’s. She wrote many books, had TV shows, eventually her own press and knitting retreats. Elizabeth analyzed the craft of knitting, researched how old sweaters were crafted and constructed, and popularized the Aran and Fair Isle sweaters in the United Sates. She broke a sweater construction down into easily manageable parts that could be manipulated to fit any body type. My first introduction to EZ was with the book Knitting without Tears, which I read cover to cover immediately and loved. It was there that I understood why I knit different than most other knitters I knew, and why it was so much faster. 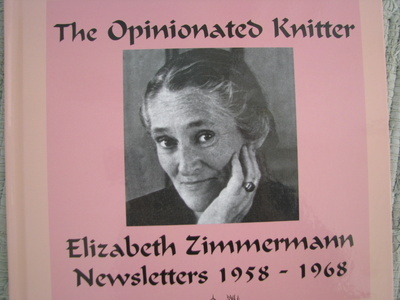 The book The Opinionated Knitter is one I just recently acquired, and it will definitely be my vacation knitting. I must have Elizabeth mojo today. I was in the bookstore, and stopped to look at the knitting magazines. I have given up all of my subscriptions, as I found them to have less and less of the types of projects that I like to knit. 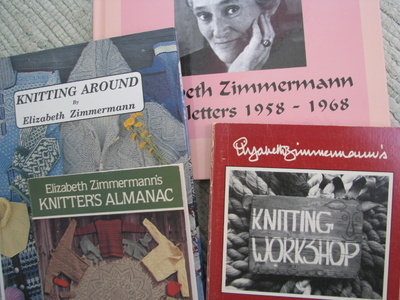 Today I decided to purchase the current issue of Interweave Knits, as it had a nice article on Elizabeth Zimmerman, and another on Barbara Walker. Two women who changed the face of knitting in America, and people I wish I had known about at a younger age. I knit in such isolation for many many years, and knew nothing about the books that were available to me. Now there are too many influences. 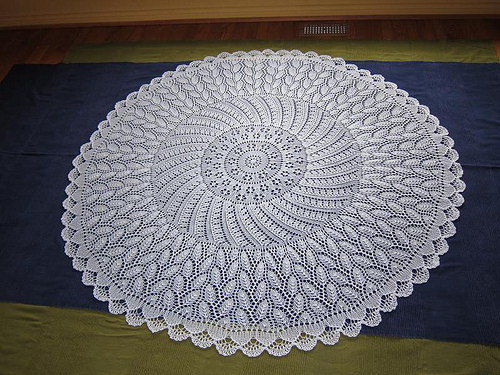 Barbara Walker also wrote 4 definitive stitch guides for knitters. I had the fortune to take a class with her about 10 years ago on slip stitch knitting. It was very fun to meet her, and she told the owner of the knit shop that I was the fastest knitter that she had seen. What a great compliment. 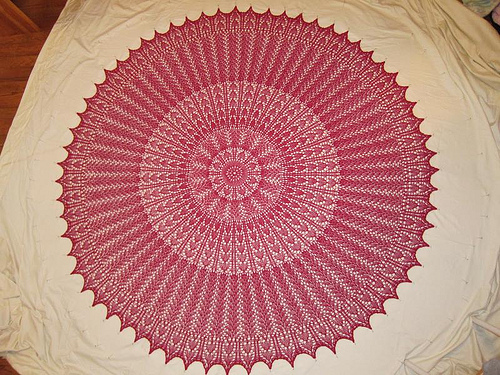 So, today while trolling artound on the Ravelry site, I found a shawl that was a free download and a tribute to the Elizabeth Zimmerman Pi shawl. And then 2 others on the same page! I saved all 3. I have been looking to a new project, and this might be the ticket. Now to decide which I like the best. My favorite so far is the last one, Camping. I have some beautiful natural wool, Inari from Habu Textiles, that I think might work nice for this one. All three are gorgeous. There is something about the scalloped edge of the first two that I love, but the leaf pattern in the third feels very arts & crafts. What color are you using? Oh, I love the last one but the first two are pretty, too. Have you ever made EZ’s Pi Shawl? 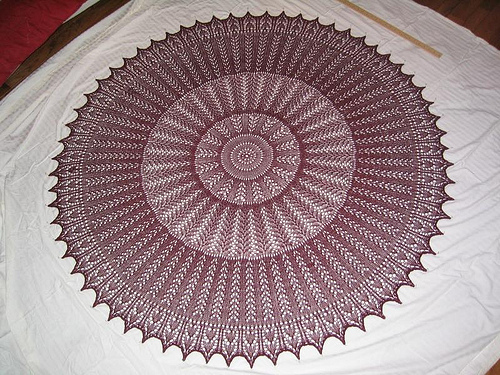 I have never made the Pi shawl. I think this is a good time. All of the 3 patterns have a repeat of 8-9-10 in honor of her birthday.